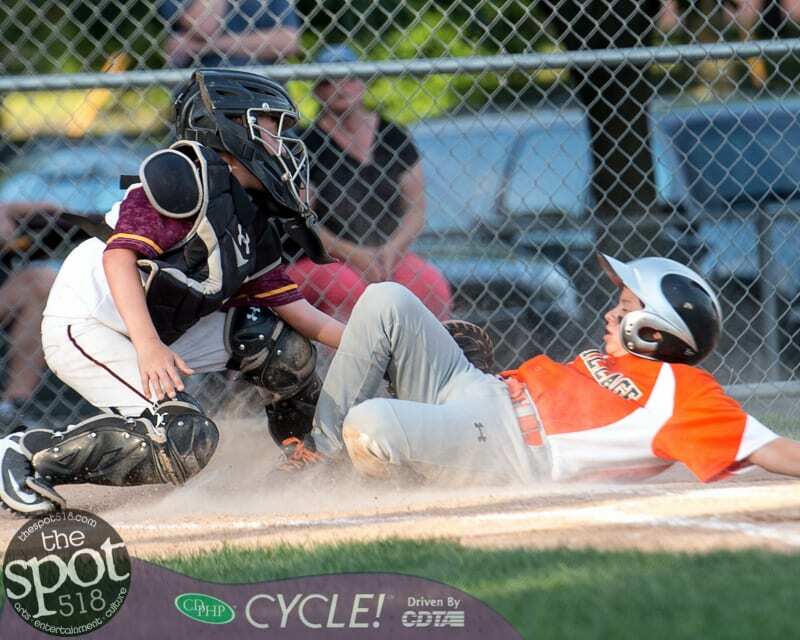 COLONIE – The Bethlehem Tri-Village 10U Little League All Star team got by Colonie on Tuesday, July 3, by a score of 13-2 at Cook Park. Tri-Village will now play a re-match against Guilderland on Thursday, July 5, at McGee Park in Bethlehem. A Tri-Village win will force a winner-take-all championship game on Friday, July 10. If Guilderland wins they are the District 13 champs and will play in the sectionals on July 10. Guilderland beat Colonie on Sunday, July 1, and then beat Tri-Village 4-3 on Monday, July 2. Against Colonie at Cook Park, the Bethlehem squad scored eight runs in the first, two in the third and three more in the fourth to end the game early. Colonie had a mini-rally in the third when it scored two runs and sent eight batters to the plate.